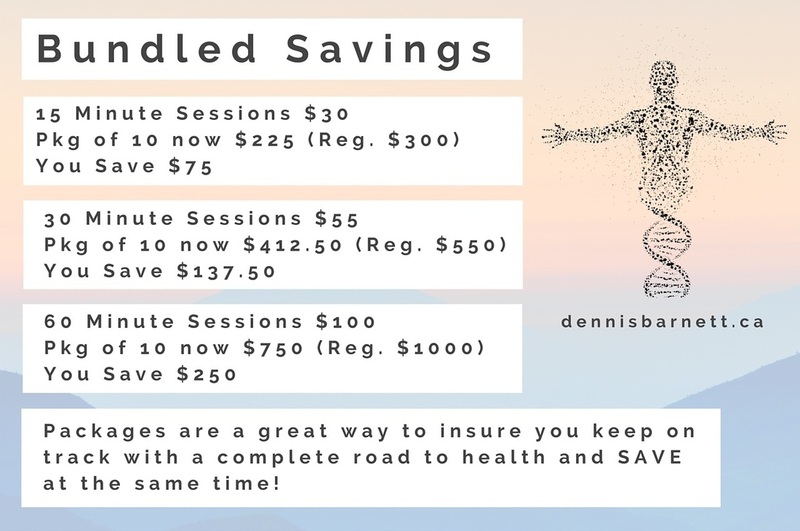 Bundled Saving Packages Available "In Office"
Are you wanting faster more effective results for your clients? I have had many RMT's in classes over the years (24 out of 30 in one memorable class!) and they all say that knowing how to do this work was the biggest addition to their practice that they could have imagined. They also comment on how it helps their own body have less tension, stress and injury. *Let me know if you would like a class in your area. The Quantum-Touch Level 2 class in Peterborough in November was a great success! Thanks to JACK LYONS for inviting me and organizing the event! "I have fond memories of my level 2 Quantum Touch weekend. It was definitely energizing! The participants were all willing to share their healing experience with one another and that meant so much to the success of the weekend. 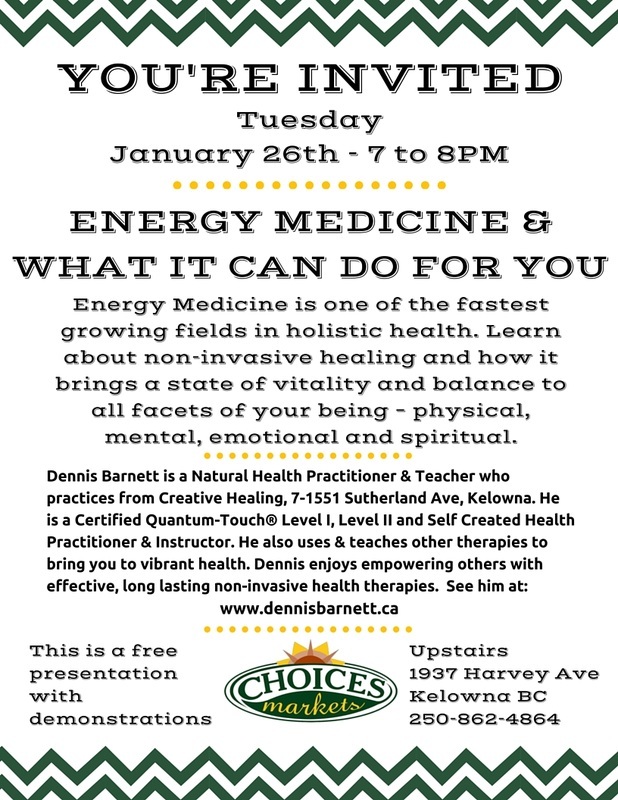 Dennis led us through the uplifting, joyful and powerful exercises, teaching us how to use our gift of healing with the world. Thank you, Dennis!" "Last weekend was one of the most rewarding experiences of my life. Thank you Dennis from the bottom of my heart. You are a superb instructor and create a very warm and comfortable learning atmosphere. I am already looking forward to having you back next year and will start working on that NOW!" "On November 21-22 I had the most amazing experience in the Quantum-Touch Level 2 Workshop. There was so much love, energy and emotions in the class using the Heart Energy. There are unlimited possibilities to using or not using your hands to work on all areas of the body. Aligning bones such as hips, occipital ridge the sphenoid bone with the Heart Energy is astounding. To see it done by Dennis Barnett and then to do it yourself is gratifying. Using our Chakras to help all areas of our life whether it be for health, relationships, love and happiness or abundance. This class is the key to my success, and many others. Thank you so much Dennis you were marvelous!" Words cannot express how grateful I am for all that I experienced and was taught during the Level 2 workshop in Peterborough. 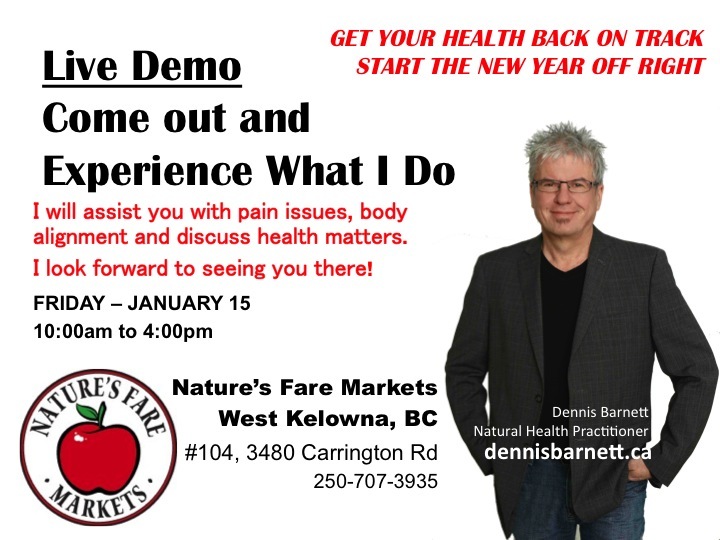 Dennis Barnett is a masterful instructor who is knowledgeable, gifted, genuine and kind. This workshop was life altering for me. It is the best gift I have ever given myself! Learning to heal through love.